Watch this video for tips on how to use them! 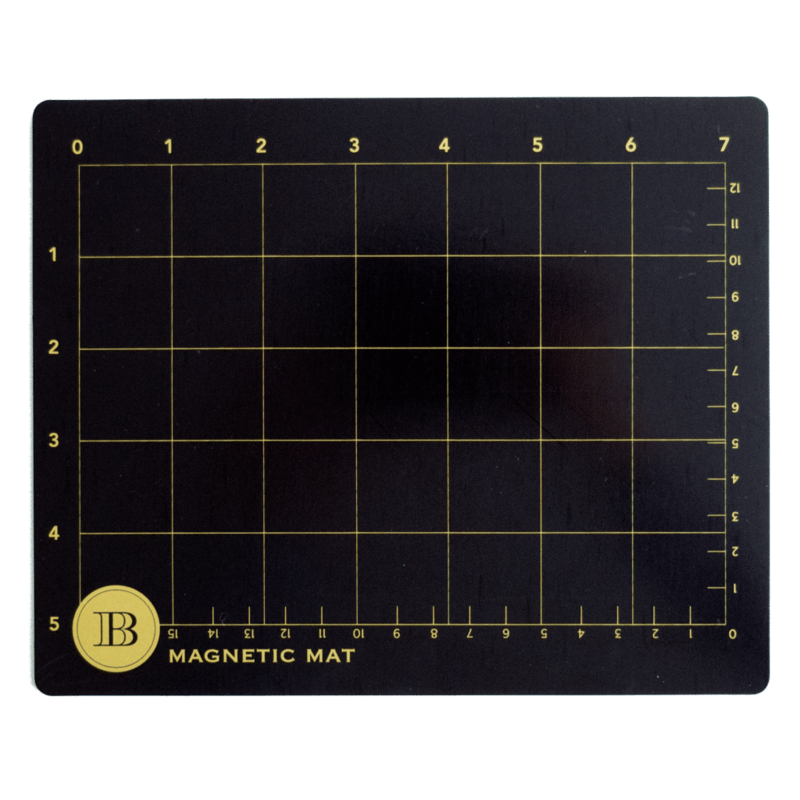 Interested in having a new black magnetic mat for your Empress? The first few hundred are in stock on annagriffin.com and they will be featured on HSN on March 5th. Consider yourself the first to know! 1. To make this card, you will use the following dies from the 3D Flower Dies: large daisy, small daisy, large four petal flower with heart-shaped center, small four petal flower with heart-shaped center, branch with seven leaves, two leaves that cross, one leaf. 2. Using the Empress machine and all of the dies on the sheet containing the daisy dies, die cut the ivory card stock and the green patterned card stock together. Place the ivory card stock closest to the dies and the green patterned card stock on top of the ivory card stock. 3. Remove the green card stock die cut pieces. Remove the magnet mat and run the ivory card stock die cut pieces through again to emboss with the rubber mat on top plus the 2nd A plate. 4. Repeat this process with remaining dies. 5. With the scoring nib of the Tool ’n One and a foam mat, burnish the center of all of the flowers and leaves. 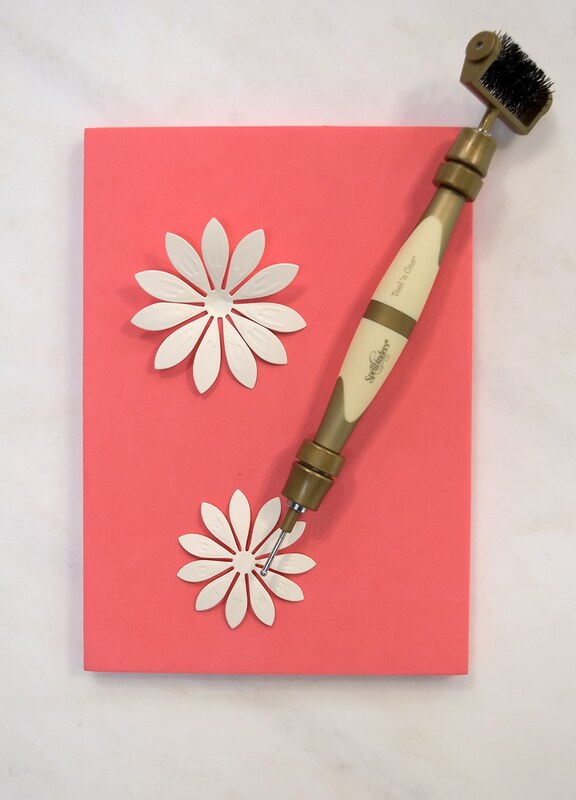 Curl the paper over the embossing nib to shape the petals. 6. Using a dauber, lightly apply ink to the edges of the ivory card stock. 1. Using double-sided adhesive, attach the green and blue patterned card stock to the ivory card stock base. 2. 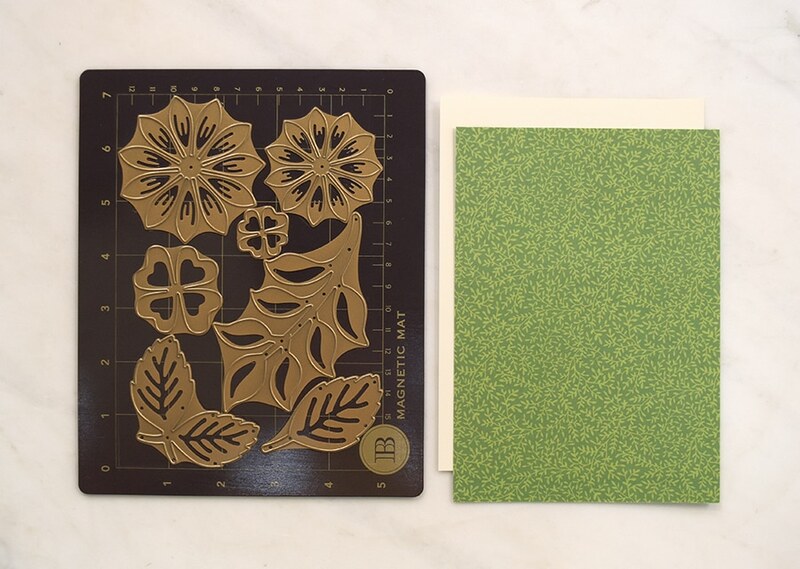 Adhere each inked ivory die cut piece to the green patterned shadow using double-sided adhesive. Skew slightly so the green shadow layer is visible. 3. Attach the leaves to the card base using foam squares. Apply diagonally across the lower left portion of the card base. 4. Adhere the flowers to the card base using foam squares. Place the larger flower die cuts towards the center and the smaller flower die cuts towards the edges. 5. Attach a sentiment using foam squares. 6. Embellish the flower centers with pearls or rhinestones. What a stunning, spring-inspired card! 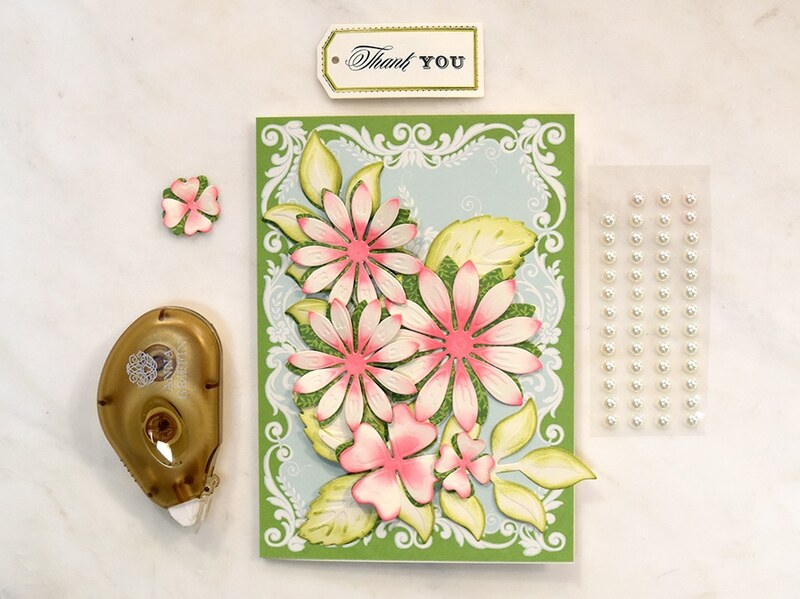 We hope that you learned a few things when it comes to working with floral cutting dies. You can use these top tips in your own card making and scrapbooking! Thank you for all the ideas, I’m always learning something new. Love watching your demonstrations as we all can learn from your tips & tricks. Just love all your products as I have many. Love the demonstration. I have the dies as well as the small ones. Never thought to do the shadow layering with the green. Terrific idea. Luv watching the videos. What a beautiful card! Love the idea of shadow layering the flowers with the pattern paper, adds a great additional dimension to the flowers. Also, nice to know that both pieces of cardstock can be cut at same time with these dies and the Empress Machine! Thanks for sharing these fun tips, I can also envision this card, but using a bolder pattern for the top layer of the flowers, my favorite, since I am a huge fan of all of Anna’s beautiful floral pattern papers! I have to do a spring card its has gotten to 40 below zero in WI . This may be what I need to do to cheer up. Love the way you used the ink and dauber. That will be a first for me using this technique. Great tips, love the project. Love your tutorials. I always learn something new. I definitely want to invest in the beautiful flower dies as well as the new Empress magnetic plate. What an outstanding card you made! Hi Anna, These are soooo nice, and i am a lucky woman cause I have all you show here except for the black magnetic mat. a reminder of the useful items I have but not for a while. THANK YOU! I have a question that’s not been answered by your customer service even though I wrote to them over a week ago: My Anna Griffin® Swivel & Pop Cutting Dies were damaged in shipping. Are they coming back to HSN or are they a possibility in your Annual Scrapbooking Sale, so that I might return them and then repurchase them later (because exchanging them isn’t an option since they’re sold out)? Also, can we use the swivel & pop dies in the Cuttlebug or are they for the Empress only? Swivel and Pop Dies are supposed to be back in stock on hsn.com today, but if they are out it will be May before they are back! They weren’t in stock, but my Cuttlebug magnetic plates seems to be holding down the bent portions. Can I use these with the Cuttlebug or only the Empress? Our Magnetic Plates won’t fit in the Cuttlebug. Simply GORGEOUS!! So many different combinations could be used with all these fabulous dies. Anna, you are a genius, when it comes to beautiful crafted projects. THANKS SO MUCH, for all your awesome inspiration. Very pretty! Would make a lovely Mother’s Day Card! What a sweet card! You make it look so easy. Lovely card! The ability to make so many pretty flowers so quickly is amazing. I like the effect of coloring the edges of the flowers and leaves. It’s time like this that a crafter just falls in love with a great technique. It seems so easy , but so beautiful. Less is more – in this case. Congrats! I really enjoy your Tutorials every week. I learn something all the time. I can’t wait to try this card. Loved this Tutorial Tuesday Card. 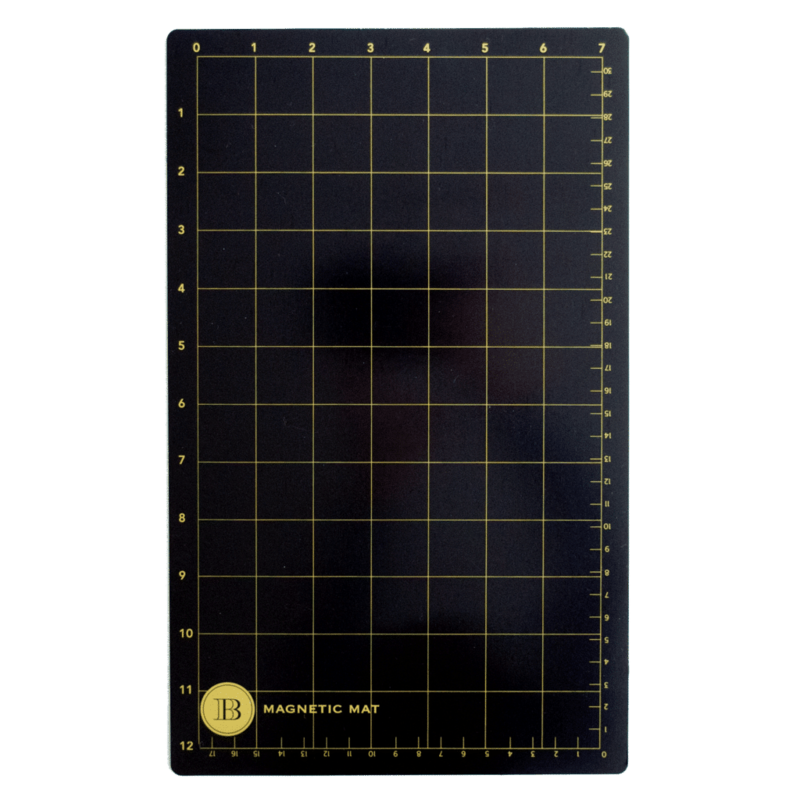 Looking forward to getting the new black magnetic mats….glad you have both sizes. This will save me money and I’m looking forward to your next HSN Craft Day in March! I make many cards, yet am reluctant to electronically share (confidence wise). Many times, I get “stuck” and really can use some inspiration, (for that pick-me-up to get going again). “Tutorial Tuesday” is just what I need. Thanks to you, Anna, and your team! Anna please help me. I ordered from HSN your Window Ledge Card Kit and Cutting Dies Set. I called HSN and told them I got shipped the wrong box and only got the card kit. They sent out another set again but the set was wrong again, just the Card Kit. The Card Kit (only) appears online as being “SOLD OUT”, Somehow HSN has a mistake. I had to cancel my order! I was not going to take the chance on 3rd wrong item. My friend also ordered the same item and got just the Card Kit and no dies. We are both wondering how many people have had this problem. Help!! Please!!! Hi Lorraine, the kit with the dies is not sold out. We will email you. What A pretty card. I really enjoy Tutorial Tuesday’s. I really appreciate the tutorial Anna. You always give us great ideas and help us with techniques that we may not of thought of. Thank you again. Looking forward to seeing you back on HSN. Thank you for the tutorial and inspiration with a beautiful card! I enjoy watching your creative process. I always learn something new. Thank your for your tutorials on Tuesdays . I have to try everything you do at least once . thank you for making it easy with your instruction. Beautiful card. Can’t wait to try the techniques! Thanks for the new improved mats too! Love Tuesday Tutorials Anna. Please keep them coming. Thank you. Anna, thank you so much for this tutorial Tuesday. These are so very helpful! I can make my flowers look dimensional and not flat!!! These are the greatest and most helpful to us! Thank you again for all you do! Thanks, Anna. I’ve never made 3-D Flowers before, so now I’ll be ordering the items I need to do this tutorial & will make them. I’m sure glad I’ve got the Empress with all the short & long plates. I’ll check your list above & see what I need. Thanks again, Anna! 3D flowers are beautiful, put those on my wish list! It is on the top of My list for March 5 th on HSN. Thank You, Anna!!!!! I love Tuesday’s now. Thank you for the inspiration. 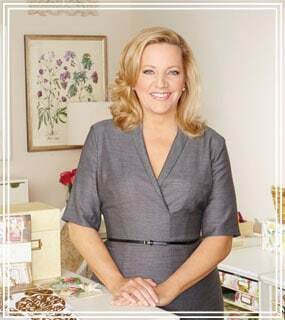 When is the next craft day at Hsn with your products? Anna, thank you for this delightful Tutorial! The card is beautiful and so are the techniques! I am looking forward to making this card! Thanks Anna, great technique. I just ordered the dies, love them. Can’t wait to make 3D flowers. I also couldn’t help but order the Black Magnetic Mats, small and large, didn’t want to wait until HSN March. From making alot of Christmas cards. Im really glad you found fix!!! I am enjoying your tutorials very much. Thank you for the wonderful tips and tricks. Anna, Thank you so much for the great flower making lesson. Learned some new things today. Beautiful cards. Time to get those dies out and ACTUAlly make those flowers! Thanks for the inspiration Anna! Hi Anna, this mat looks great for holding the runaway dies!!! Thank you Anna! These Tutorial Tuesdays are awesome! 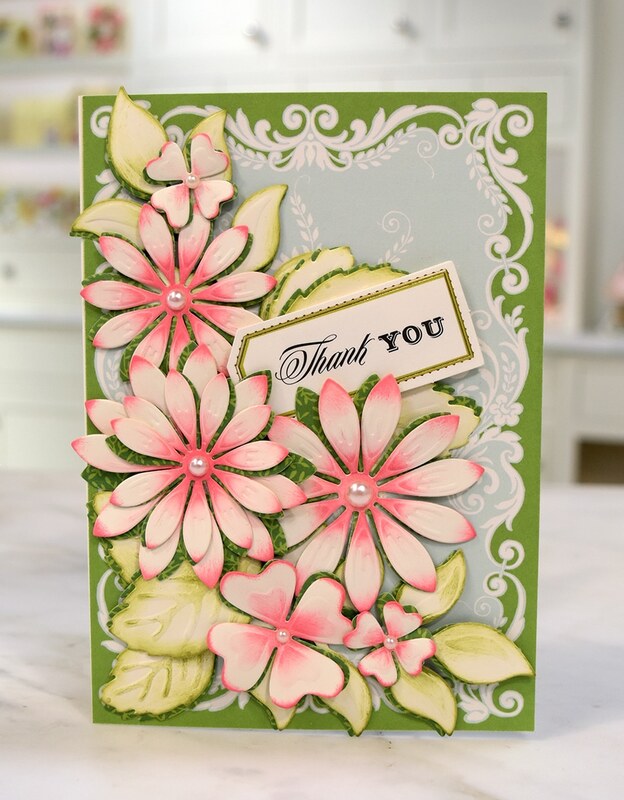 Thanks for today’s tips using the 3D flower dies. I had used these dies before, but they were a little “flat”, and I had never thought of using a bottom layer to add dimension, plus I didn’t know how to curl the petals. Now I know how to get great results! Also really liked using the ink to extra interest. Plus, I’m excited to see the new magnetic mats. I will definitely be buying them! Thanks again! I love the 3D technique! Thank you! Oh Anna, your so sweet and easygoing teaching us so we all can do this! We all have learning skills at different levels and its nice how you can reach us all. I also love that you have all the steps printed out with pictures that we can refer to later. You are a blessing to all of us. Very pretty, Anna! I don’t think they have any left at HSN, though, as I check your stuff at least once a week there, and don’t recall seeing them. I will go to your store 🙂 I am loving your tutorial Tuesdays! Hi Lorri, no these are a new product: an upgrade, not a fix. Thanks so much for,the reply. I ordered a small and a large mag plate today. And, you will be able to do this for many more years, because it gives you purpose and does keep your hands limber. I am 72 and I suppose that seems young to you, but I have some of the same thoughts you have expressed. It is heartening to know that, at your age, you are still going strong. Hugs! ooh la lah~ beautiful flowers of new life for all this snow we are having! Thank you for using an older die set. I use my set occasionally for one or two flowers, but this card is so beautiful. I haven’t tried cutting with two pieces of paper, but will the next time. This tutorial is a keeper. Thank you for the lesson. I so enjoy watching you demonstrate new ideas. The magnetic mats look like something I need to add to my supply also. 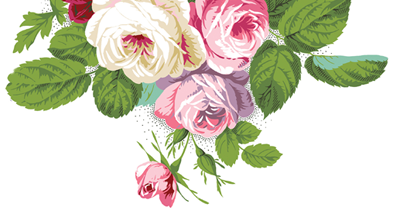 I know your idea brings a breathe of fresh air to our designs with hope for spring! These are quite simply gorgeous Miss Anna. Thanks for this week’s tutorial. Always learning new methods and ideas! Was wondering if the card stocks (5″x7″ card base and patterned card stocks) with which you used to make this card are/will be available on HSN? Love the tips and techniques, thank you, I love it! Wish I had purchased these beautiful flower dies. This card is gorgeous! Just beautiful…you make it look so easy. Great tutorial, really enjoy them. Thank you for sharing with us. I do feel that composing is a challenge so these tutorials are very helpful. Between Tuesday Tutorials and Fan Mail Fridays I learn so much. Amazing, what more can one say. Just want to thank you for doing these demonstrations. Gives me that extra push to use my dies and paper. Also, thank you for improving on your magnetic mat—you saw a problem and corrected it rather than making the consumer buy the other mat over and over! Love it all. Happy Almost Spring! Thank you for the tutorial! 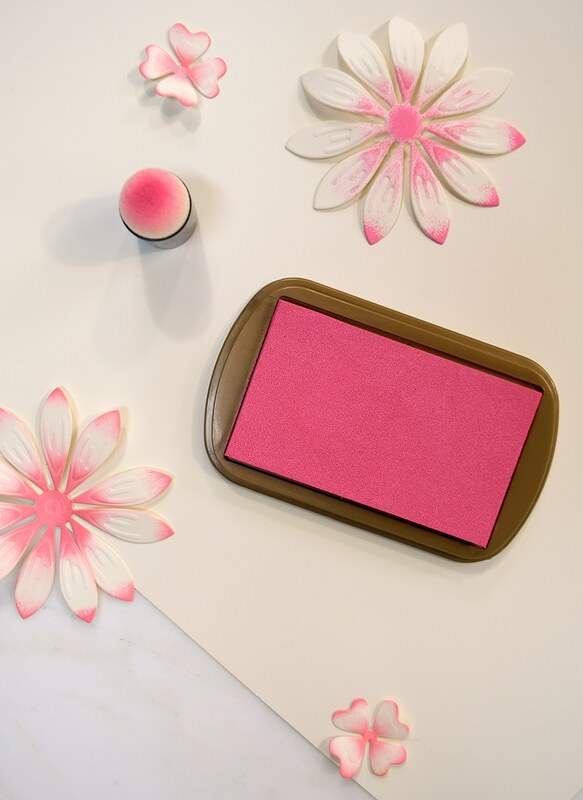 We really like the 3D flower dies and now have a great tip on how to layer and color them! Tutorial Tuesdays are the BEST! Thank you Anna ! These tutorials are so awesome ! I always seem to have problems trying to figure out placement of the embellishments , thanks to your tutorials I’m becoming more comfortable moving out of the center of the card!! lol! Thanks for making mats that won’t warp. Mine are getting to be a problem. Thanks for the lesson! beautiful card and tutorial. The dies are awesome. Thank you Anna. Your tutorials are so helpful and works to give me more confidence in using the dies I own to make and send a beautiful card to a family member or a friend. Hi Anna: Thank you so much for this great tutorial. I have these beautiful flower dies and stamp pads. What I didn’t know was how and when to use the metal shim. I loved that I can cut 2 different papers at once to make the shadows and the flowers. I look forward to your Tutorial Tuesdays and can’t wait to see what new things I can learn from you, our beautiful Queen of Crafting! I love these dies and use them all the time! I especially like that you used a green layer under the petals and leaves. I will definitely add that to my bag of tricks! Thanks for the inspiration! You’re the best! I can’t wait to try this card. I love the flower dies but hadn’t thought about using a different color paper for a shadow. Thanks for the beautiful tips! Help! My dies are out of control. Do you sell the magnetic sheets with the plastic sleeve separately like you showed for the UK tea cup dies and stamps? Thanks! Can’t wait for March!! They will be back on hsn.com March 5th! Beautiful card, thanks for the lesson. I just love Tutorial Tuesdays! And the new magnetic mats are great. Love this card and all the techniques you used on it! Thanks for the great instructions and idea! When I watched the tutorial on the beautiful Spring Flower card, I felt like Spring was peeking around the corner. Great techniques! Can’t wait to get the new mats for my empress machine. A friend is coming by tomorrow to make Valentine cards, but we just may have to try our hands at these as well. Thank you! Beautiful and so easy to achieve something so special. Love those flower dies. Those are nice to have because you can create your own embellishments and have flowers for Spring, Summer and Fall! Excellent! Beautiful card too! Your flowers are always so pretty. Thank you Anna for these tutorials. They are so helpful. Thank you for all of the helpful crafting tips! I will have to try this technique with my Anna flower dies. I also like the way that you used the ink. Thank you for making the Empress. I am so happy that I own it because it is the BEST electronic die cutting machine that I have ever owned! So glad you love it!